This is the final RLPB for 2015. Regular RLPBs will resume on 27 January 2016. However, brief alerts will be issued for urgent prayer needs as required. ADVENT (RLPB 338), noting that Christmas is a time of elevated risk of terrorism. Please continue to pray that plots will be thwarted, that would-be terrorists seeking divine empowerment will instead find the Lord and that God will prepare us for whatever lies ahead, working all things together for good 'for those who are called according to his purpose' (Romans 8:28 ESV). WHAT THE PERSECUTED MIGHT HOPE FOR THIS CHRISTMAS (RLPB 339), noting that, while celebrating the coming of Christ, millions of believers will be hoping not for mince tarts and new gadgets, but for peace, security, religious freedom and the return of captive and imprisoned loved ones. Give the persecuted a gift: recruit another intercessor who will join us in prayer for those things hoped-for. On Tuesday 1 December the Dail (Irish parliament) voted unanimously to pass the new Equality (Miscellaneous Provisions) Bill which replaces the Employment Equality Act, and which comes without religious exemptions. Previously, specific exemptions gave 'religious, educational or medical institutions' the right to act 'in order to maintain the religious ethos of the institution'. Without these exemptions, religious, educational and medical institutions will be obliged, by law, to respect and advance 'diversity'. The move is profoundly discriminatory, for while political institutions will be permitted to act to preserve their ethos, religious institutions will not. Whilst LGBTI employees in religious institutions will be able to 'come out' without fear of retrenchment, religious institutions will not be able to preserve their own values without fear of a law suit. As well as being anti-religion, the law is also anti-diversity, for it will ultimately result in the loss of distinctively Christian schools and hospitals. According to Ireland's equality minister, this measure will not be the last, and is but one of many reforms to come. The move is indicative of rising hostility against Biblical Christianity in Ireland. Between 2007 and 2012 some 100,000 settlers arrived in Islamabad from Taliban-infested, war-ravaged Khyber Pakhtunkhwa (KP) and the Federally Administered Tribal Areas (FATA), as well as from Balochistan and Punjab. This pushed Islamabad's population to two million, with the growth occurring predominantly in slums. In July Pakistan's Capital Development Authority (CDA) launched a demolition campaign. Citing the threat of terrorism, the CDA demolished a mostly Pashtun [Muslim] slum, triggering an outcry. In August, the Supreme Court issued a stay order, stopping the demolitions. Since then the CDA has changed its strategy. Impoverished and persecuted, Christian families migrate to Islamabad in search of work and security. 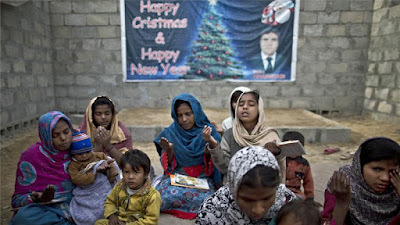 Some 80,000 Christians live in Islamabad's Christian colonies/slums, comprising 4 percent of Islamabad's population. Many of these colonies have existed for 15 to 50 years. As the CDA presents its case for demolition to the Supreme Court, residents of about 30 Christian colonies have been issued with eviction notices. Should the demolitions proceed, these many tens of thousands of poor Christians will have nowhere else to go. Please pray for the Christians of Islamabad. Pray that the Supreme Court will rule justly and wisely and that Muslims will not respond to any incitement to take matters into their own hands. Ofsted (the Office for Standards in Education, Children's Services and Skills) is a non-ministerial government department responsible for inspecting schools and regulating services to ensure they conform to 'British values' (by which is meant the Equality Act, which equates British values with moral and cultural relativism). Ofsted inspections have threatened a number of Jewish and Christian schools which, despite their academic excellence, have been deemed to be failing to promote 'British values'. Now the UK government has proposed that Ofsted be given powers to investigate non-school settings, i.e. anywhere children are taught or trained, including church camps, Sunday schools and youth programs. All out-of-school educational settings would have to register with the authorities and submit to routine inspections. 'Undesirable teaching' that 'undermines or is incompatible with fundamental British values' would be banned and those guilty of undermining 'British values' would be sanctioned. As the Christian Institute notes, this would turn Ofsted into a 'state regulator of religion'. Though designed to rein in the promotion of 'extremism' in fundamentalist Islamic schools and youth programs (which is a serious problem), rabid secularists with their own agendas are exploiting the inspection regime to attack Christianity. This is exactly what we observe in Central Asian states like Uzbekistan, where laws designed to rein in militant and revolutionary Islam are exploited to suppress evangelical Christianity. The UK Department of Education has launched a consultation (which closes on 11 January) and the Christian Institute is spearheading the response (click here for details). Pray for revival in the UK, and that religious freedom will be preserved. Update to RLPB 320 (28 July). 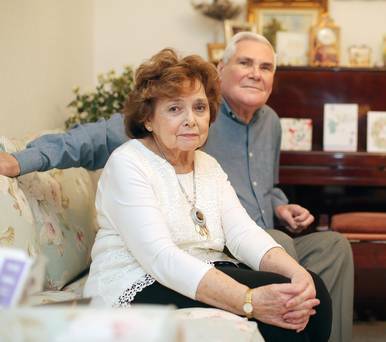 The trial of Pastor James McConnell (78) began on Monday 14 December and is expected to last three days. McConnell was charged with improper use of a public electronic communications network and causing a grossly offensive message to be sent by means of a public electronic communications network, after a sermon in which he criticised Islam was broadcast on the internet. McConnell had been responding to the death sentence for apostasy handed down in Khartoum to Christian convert Meriam Ibrahim. The case revolves around McConnell's words: 'I don't trust them [Muslims],' which the judge asserts is akin to vilifying all Muslims as liars, something McConnell strongly rejects. McConnell's accuser, Dr Raied Al-Wazzan of the Belfast Islamic Centre, was not called on to give evidence, for he has since discredited himself by commending Islamic State's rule in Mosul. On Sunday 6 December internationally acclaimed Christian advocate Nguyen Van Dai was attacked while returning to Hanoi after running a human rights information session in Nghe An Province. Some ten masked assailants -- security personnel on motorbikes -- ambushed Dai's taxi. Dai, his three colleagues and the driver were dragged out of the car and beaten with clubs. 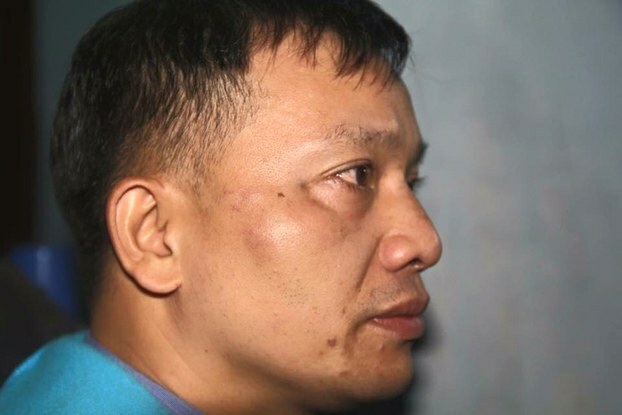 Though his colleagues managed to escape and make their way back to Hanoi, Dai (the main target) was beaten severely, robbed and left on a bench. A passerby lent Dai his phone so he could call for help. Friends collected him and provided first aid. After being alerted that police were lying in wait to ambush Dai yet again, his friends drove him back to Hanoi by an alternative route. In May 2014 Dai was beaten by plain-clothed security personnel while he was meeting with colleagues and students. A courageous religious liberty advocate and devout Protestant Christian, Nguyen Van Dai has already spent five years in prison for 'propagandising against the state of Vietnam'. Two Christian converts from Islam have been murdered in Taiz, south-west Yemen, both of whom had reportedly been professing Christ openly. One of the Christians was assassinated, shot multiple times by an AQAP (al-Qaeda in the Arabian Peninsula) operative. Details surrounding the killing of the other Christian, who was shot to death in his home, are as yet unconfirmed. The martyrs' names have not been released. Yemen has grown increasingly lawless due to war and is essentially a failed state. The killings, which occurred in September and October, have shaken the convert community in Yemen, contributing to a growing sense of vulnerability and insecurity. 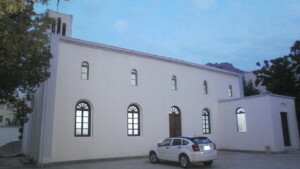 In September masked assailants believed to be linked to AQAP torched St Joseph's Catholic Church (built 1855) in Aden. On Wednesday 9 December militants detonated explosives in the Church of the Immaculate Conception (built 1960s) in the Al-Ma'ala area of Aden. The church and adjoining priests' residence were totally destroyed. 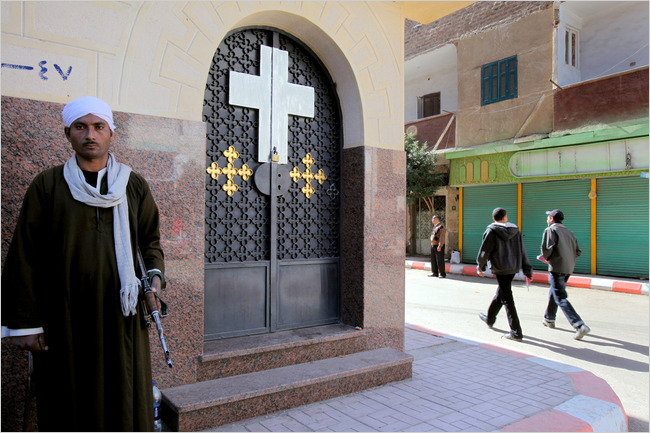 Christians in Yemen are mostly foreign aid workers, African refugees (many Eritreans) and converts from Islam. Pray for this gravely imperilled Church. 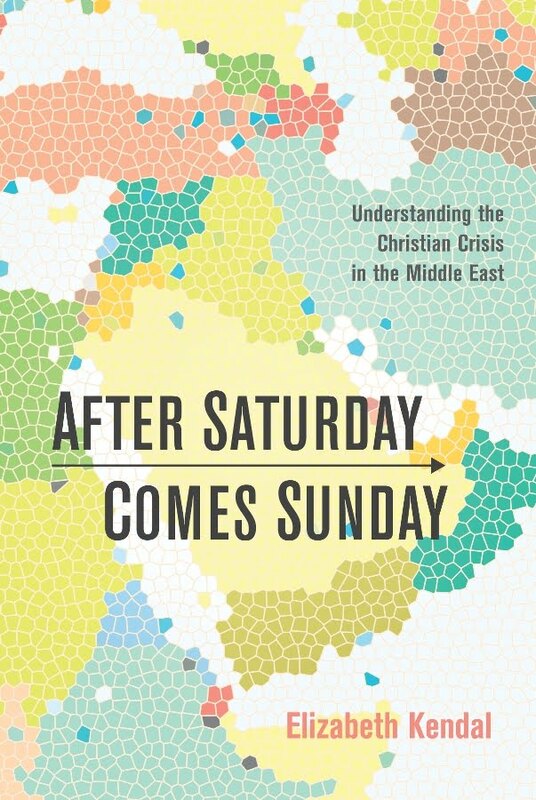 Her second book, ‘After Saturday Comes Sunday’: Understanding the Christian Crisis in the Middle East, will be published by Wipf and Stock (Eugene, OR, USA) in early 2016. RLPB 339. What Might the Persecuted Hope For This Christmas? WHAT MIGHT THE PERSECUTED HOPE FOR THIS CHRISTMAS? -- a call to love, solidarity and action. 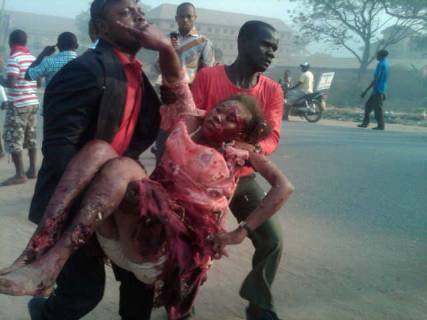 This Christmas, Christians in Nigeria will doubtless be hoping for an end to Islamic jihad and terror. Thousands of Christian families will be tearfully hoping for the return of their captive children and with more than a million displaced, a multitude will be hoping for a return to homes, churches and communities. Across Syria and Iraq, hundreds of thousands of remnant Christians displaced by Islamic jihad will be hoping for the same. Mince tarts dusted with icing sugar will be far from their hearts and minds. In Iran, Pakistan, China and Laos (amongst others) Christian families and local churches will be hoping for the release of loved ones imprisoned for their faith, while praying for their humane treatment. Meanwhile, prisoners like Behnam Irani (pastor, married father of two, imprisoned in Iran), Asia Bibi (Christian wife and mother of five, on death row for alleged blasphemy in Pakistan) and Zhang Kai (Christian attorney in defence of the cross, 'disappeared' into a 'black jail' for interrogation in China) will cling to life in the hope that they might be reunited with their families and friends yet again. In India, Christians will be hoping for a reversal in the trend of Hindu nationalism. In Burma and Papua, the Christian ethnic peoples will be hoping for an end to military violence. Christians in North Korea and Eritrea will be quietly hoping against hope for something really big -- a brand new government that respects the lives and human rights of its citizens. But with corruption and wickedness penetrating through to the core across so many institutions and at so many levels, such a thing is seemingly impossible. Our hope comes from the words the angel gave Mary: 'For nothing will be impossible for God.' (Luke 1:37 ESV). 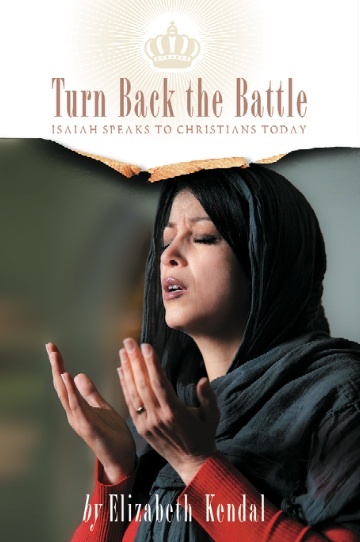 In Saudi Arabia and the Middle East, in Bangladesh and the South Asian subcontinent, in Egypt and all North Africa, in Indonesia and all South East Asia, in Uzbekistan and all Central Asia, in Sudan, Somalia and along the Swahili Coast -- wherever Muslims dominate -- Christians will be hoping for a special visitation of God's Holy Spirit to open Muslim eyes, awaken Muslim minds, soften Muslim hearts and break through the bulwark of Muslim fear. For the first time in my lifetime Christians in the largely post-Christian West may well be hoping their worship services and festivities will not be targeted by terrorists. Whether the Church hopes for it or not, the thing the Western Church most desperately needs is revival, loving the Lord her God with all her heart, soul, mind and strength, ready and able to give a reason for her hope, to love as Christ loves (with grace and sacrifice), to have courage to stand firm and walk by faith as a counter-cultural force for good in a culture that is de-civilising at a rapid rate. More than 2000 years have passed since the birth of Jesus. So why is the world in such a mess? Did Jesus fail? No, the resurrection proved Jesus' victory. The transformation of the world has begun and what started as a little movement in Jerusalem and Antioch has spread across the whole world. The times in which we live are days of phenomenal church growth, principally in the non-Western world and due primarily to the emergence of indigenous missions. Because of this the Church's centre of gravity is shifting from the northern hemisphere to the southern, from the West to the East. But this is not the end. Rather, God is doing something new: refining and sanctifying the West through judgement while raising up the East to declare his glory. What we are witnessing is an immense spiritual battle as Satan fights desperately to resist his inevitable demise. The days might be dark, but they are still days for hope, faith and endurance. What is more, they are days for Christian love, solidarity and action. For in these dark days before the dawn, persecuted Christians need all the help they can get. To that end, please forward these RLPBs to others (but not as spam!) and encourage them to join the mailing list. Consider it a gift to the persecuted church. * grant all suffering, anxious and grief-stricken persecuted Christians a powerful, palpable and undeniable affirmation of his presence this Christmas, so they might be comforted by the assurance that the Christ is with them and their loved ones. 'For I am sure that neither death nor life, nor angels nor rulers, nor things present nor things to come, nor powers, nor height nor depth, nor anything else in all creation, will be able to separate us from the love of God in Christ Jesus our Lord' (Romans 8:38-39 ESV). * grant revival to the Western Church, even if it be by means of the judgment coming upon the largely post-Christian West; awaken our minds to the plight of the lost (which is tragic, not just in death but in life); and soften our hearts towards the suffering of his people that we might be 'one' (John 17:20-26). * refine and sanctify all his people, that we might endure our trials with dignity, grace and faith, and with boundless Christian love and courageous solidarity, 'that all the kingdoms of earth might know that you alone are the Lord' (from the prayer of Hezekiah, Isaiah 37:14-20). This Christmas, millions of Christians across the world will be hoping for an end to the communal pogroms and Islamic jihads that have robbed them of their homes, livelihoods and children. Many will be hoping that loved ones imprisoned for their faith will be treated humanely and soon released. Whether the Church hopes for it or not, the Western Church desperately needs revival. The world is in a mess, not because Jesus failed (the resurrection proved his victory), but because a spiritual battle is raging as Satan resists his demise. These are days for hope, faith and endurance, for Christian love, solidarity and generous, sacrificial action, and for serious intercessory prayer. In these dark days before the dawn, persecuted Christians need all the help they can get. For Catholic and Protestant Christians, the birth of Jesus is celebrated on 25 December. For Eastern Orthodox Christians, Christmas Day is 7 January. Increasingly it is a season in which we anticipate not only joy, but terror -- for churches and gathered Christians are at a greater risk of terrorist attack over Christmas than at any other time during the year. Obviously the fact that Christmas services and festivities are often well attended, mostly by Christians, means Christmas gives Islamic terrorists an opportunity to maximise Christian casualties. But that is not the primary reason Christmas festivities are targeted -- after all, churches and Christians are increasingly being recognised as low value targets. For whilst Muslims are instructed to 'strike terror into the hearts of those who disbelieve' (Qur'an 8:12) jihadists are discovering that few people or world leaders are terrorised, threatened or even upset these days by the killing of Christians or Jews (who are routinely viewed as religious relics -- they'll eventually evolve, won't they? ), or sacrilegious cartoonists and blasphemous bloggers (because they asked for it, didn't they? ), or even Russians (because they are the enemy, aren't they?). No, to really grab a nation's attention these days terrorists need to be far more indiscriminate. If they are going to target anyone, it needs to be primarily secular humanists in their environments. Only then can the terrorists make their demands -- no 'blasphemy' (i.e. criticism of Islam), no 'conversion' (i.e. Christian witness), no crosses (too offensive), more Islam etc -- and be likely to get them. So why do jihadists even bother targeting a church or Christmas festivity? The targeting of a church at any time is largely symbolic: it sends the message that when the new order arrives, Christianity will not be tolerated -- it is essentially a foretaste of what is to come. What needs to be understood is that it is not just the Christianity of the true believer that is in the terrorists' sights but the Christianity of culture, heritage, tradition and foundational values. Unfortunately, not many committed secular humanists realise just how precious these things are. In taking these blessings for granted, most will not realise their value until they are gone. Just as Christianity is being erased in its historic heartland of Mesopotamia, so too will Islamists seek to erase it everywhere -- Mesopotamia is merely 'ground zero' (the point of detonation). This is why it is imperative that everyone understands the Christian crisis in the Middle East, for it will 'be coming to a theatre near you'. Each year the list of countries where Christmas services and festivities are at risk gets longer. This year we should anticipate the risk to be highest in Pakistan, Egypt, Iraq, Syria, Nigeria, Kenya and Bangladesh. We should also realise that risk could exist in Indonesia and Jordan (subject to previous plots) and possibly Southern Philippines, Tunisia, Bosnia and Mali (which have seen terror incidents this year). Because the world has changed dramatically during 2015, the risk of a Christmas terror attack is now also high in Russia, which is being threatened by IS and al-Qaeda; the European Union, with 'Rome' being the ultimate terror target, and where unknown Muslim migrants are flooding in at the rate of 5000 per day; Lebanon, which has seen terrorism this year and has been thoroughly infiltrated with IS and al-Qaeda-linked jihadists and sympathisers; and Israel, a high value target which has been infiltrated by IS, although security there is phenomenal. Even where IS and al-Qaeda have not established a presence, their ability to incite impressionable youth through social media and radicalised mentors is significant, thereby increasing the risk even more widely. Terrorists intending to attack churches and festivities this Christmas will already be plotting, conducting surveillance, gathering materials, rehearsing and training -- preparing themselves logistically, materially, physically, emotionally and spiritually. Consequently, Advent is a great time to be praying for divine intervention for peace over Christmas. * 'Break the arm [the power and means of action] of the wicked and evildoer' (Psalm 10:15a ESV); sever their supply lines, communication channels and relationships; remove their funding and leadership; foil their plots and confuse their schemes 'so that man who is of the earth may strike terror no more' (Psalm 10:18b ESV). * be pleased to use his Church to amplify the gospel of generous grace this Christmas. Prepare us Lord. Increase our faith that we might be living testaments to your generous grace. Churches and gathered Christians worldwide are at a greater risk of terrorist attack over Christmas than at any other time during the year. Whilst the targeting of a church any time is largely symbolic, it sends the message that when the 'new order' arrives, Christianity will not be tolerated -- and not just the Christianity of the true believer but the Christianity of culture, heritage, tradition and foundational values. Terrorists intending to attack churches and festivities this Christmas will already be plotting, conducting surveillance, gathering materials, rehearsing and training: preparing themselves logistically, materially, physically, emotionally and spiritually. Consequently, Advent is a great time to be praying for divine intervention for peace over Christmas. May terrorist plots be thwarted and would-be terrorists seeking supernatural strength find instead the God of generous grace.